Pran is the creation of Brahma (God), the supreme being. The inherent quality of Pran is Motion. This quality of Pran is felt. and experienced in Vayu (Air), which is always in motion. The Human body is composed of five elements: Akasha (space of vacuity), Vayu (air), Agni (fire), Jala (water) and Prithvi (earth). From amongst these five elements, Vayu or Air is said to be the essential element, which keeps the body alive and maintains it. This air, when inspired in the body by the process of breathing is called Pran. Pran enters the body through nostrils. Respiration maintains life and is the basis of Pranayam. According to Yogdarshan. It has been said that when you sit in one of the convenient posture (Asan) and regulate the act of respiration, it is Pranayam. All the life force or Prana lies as dormant potential energy called the 'pranashakti' or 'kundalini'. It resides at a center which is found just above the genital area, called the 'mooladhara chakra'. According to yoga, this prana flows from the base 'mooladhara' center up along the right side of the spinal column into the center which lies at the top of the spinal column. This center is called the 'Ajna Chakra'. The prana also gets distributed to the whole body through a different set of nerve channels so that it reaches every atom of the body. This is how prana operates in the normal body and the scope of Pranayama is to extend this influence beyond the physical body. The act of inhaling air in the body so as to reach the lungs, is called inspiration and the act of throwing the air out of the body, is called expiration. The science of Pranayama is based on the retention of prana called 'kumbhaka'. Inhalation and exhalation are merely incidental. Those who are serious in awakening the hidden recesses of the brain need to perfect the art of retention (kumbhaka). During kumbhaka there is an increased blood flow into the brain and simultaneously heat is generated in the system which influences the existing quantum of energy or Prana. For example, if you produce heat in a vessel, it will heat the existing air. The heat generates an increased energy in an electrical form. This electrical spark alters the chemical structure of the cerebral fluid which surrounds the brain. When this fluid is chemically influenced, it affects the behaviour of the brain. This is why one experiences a dizziness. All the great experiences take place in this condition of dizziness. When we inhale, it is not only the air or oxygen that enters our body, but alongwith the air also enters a divine energy which keeps the body alive. Doing pranayam does not mean only taking the air in the body (inhalation) and throwing it out (exhalation), but alongwith oxygen, we also take in our body the Vital Energy. This Vital Energy permeates the entire universe and what we inhale and exhale is the fragment of it. As Manu Maharaj- the law giver of the Aryans is of the opinion that pranayam clears the body and mind as the fire cleans dross elements contained in the gold when heated. 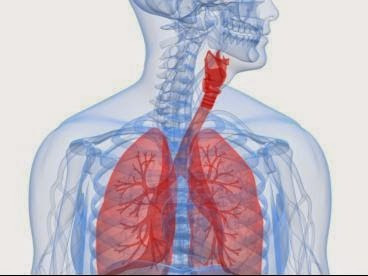 Physiology teaches us that the oxygen (Pran) we breathe fills our lungs, spreads in the entire body (internal and external including neurons, veins and arbitraries) providing it with essential food, energy, oxygen and gentle massage. Not only that the veins collect the dross elements form the body, take them to heart and then to the lungs, which throws the useless material like carbon-dioxide and other fatal toxins out of the body through the act of exhalation. Through pranayam and Meditation we attain a transcendental state of consciousness where the mind has no thoughts or impressions. In that state, our neuro-enodrine system becomes limbic-hypothalamsu, pituitary, adrenal axis becomes strong and precise. As a result our stress hormones- ACTH, cortisol and prolactin and adrenaline and noradrenaline go down. And good hormones like beta endorphines and enkaphalins, etc., go up. As a result stress-related diseases like htn, D.M, obesity and heart disease, etc., start reversing. So are the cases of diabetes, asthma, bronchitis, leucoderma, depression, parkinson, insomnia, migraine, thyroid, arthritis, cervical spodalities, hepatitis, chronic renal failure, cancer, cirrhosis of liver, gas, constipation, acidity etc. Spiritually speaking, with the support of respiration that the mind peers into the inner world and enables the Sadhak (Practitioner) to experience divinity.